After Funk - "Face In The Crowd"
Drawing from a broad base, After Funk's forthcoming LP Santa Barbara nods to R&B, disco, jazz, soul, Latin, and, well, funk. Nothing feels contrived; these myriad modalities are stylistic colors in their compositional palette. Gilding above and grooving in-between it all is the records’ keystone; the velvet, dynamic voice of Yanick Allwood. Before After Funk, Allwood (who also plays keys), drummer Jaime Rosenberg, guitarist Phil Tessis, and bassist Justin Bontje lived parallel lives steeped in music. Their paths first crossed at the University of Western Ontario. In 2014 they released a self-titled EP and hit the road. Word of their electric live show started to spread, and soon the band was playing alongside Snarky Puppy, Lettuce and more, and gracing the stage at major festivals such as Electric Forest, Harvest Jazz & Blues, and Evolve in Canada. In 2015 the band released the ‘Til The Sun Comes Up EP, followed by 2017’s FREAK single. In early 2018 After Funk completed their first coast to coast tour of North America. The bulk of Santa Barbara was written, rehearsed, and workshopped in the band’s house on Santa Barbara Road in Toronto. In addition to the core quartet, the record features performances by: vocalists Kyla Charter (Alessia Cara, July Talk), Stacey Kay, and James Bailey (July Talk), bass clarinetist Jacob Gorzhaltsan (Jack Dejohnette), tenor saxophonist Julian Nalli (Fred Penner), trumpeter Tom Moffett (BadBadNotGood, Arkells), flautist and alto saxophonist Rob Christian, and Cuban percussionist Rosendo “Chendy” Leon (Sultans of String). The record was produced by Jeff Hazin (Yoko Gold) and mixed by Gabe Gallucci (Shawn Mendes). An imminently engaging, fully-wrought record that takes the listener by the hand and sprints off into a heady journey, Santa Barbara is nuanced, articulate, and profoundly satisfying. Dj Karma Camille aka Myra Washington (the singing DJ) is the package that is very hard to come by and one of Music Connection's Magazine Hot 100 unsigned artist of 2015 -2016. The talented singer, songwriter, actress, DJ born in Port Arthur, TX home of Janis Joplin and rappers UGK, the eldest of 3 kids that all have a had musical success includes baby brother “Wash “ with hit single “Can’t Trust Thots” and middle sister Brittani Washington (keyboardist) that toured for 7 years with Beyonce’s all girl band. Dj Karma Camille / Myra Washington comes from a very musically inclined family. A child of two parents that are Pastors of a holiness church, DJ Karma Camille/ Myra Washington grew up in the church singing, directing the choir, and playing the drums and she credits that church for sultry voice. Although a graduate of Prairie View A&M University with a BA in RATV Communications and a minor in dance, she crafted her skill and made music her first love. As a DJ some celebrity clients include DL Hughley, Kevin Hart, Torri Hart, Shanice Wilson, Flex Alexander, Keith Washington and others to name a few. As a singer she has performed as a featured background vocalist on Simon Cowell’s X Factor USA working closely w Simon, Khloe Kardashian, Britney Spears, LA Reid, Nicole Scherzinger, and Paula Abdul, and currently touring with Prince protégé’ Judith Hill. In the fall 2015 Myra was featured on Jillian Michaels "Sweat Inc" on Spike TV. DJ Karma Camille/ Myra Washington has tour with Klymaxx feat Bernadette Cooper “Diva and a Turntable” She performed on countless stages including, Essence Music Fest opening for acts such as Chris Brown, Fantasia, Angie Stone, Patti Labelle, Ron Isley, Shanice, Montel Jordan, Angie Stone, Ray J, Kindred and the Family Soul, Brian Mcknight, The Ojays, Latoya Luckett, and Eric Benet , DJ Karma Camille/ Myra Washington has appeared in numerous commercials and television appearances, which has sparked national attention. 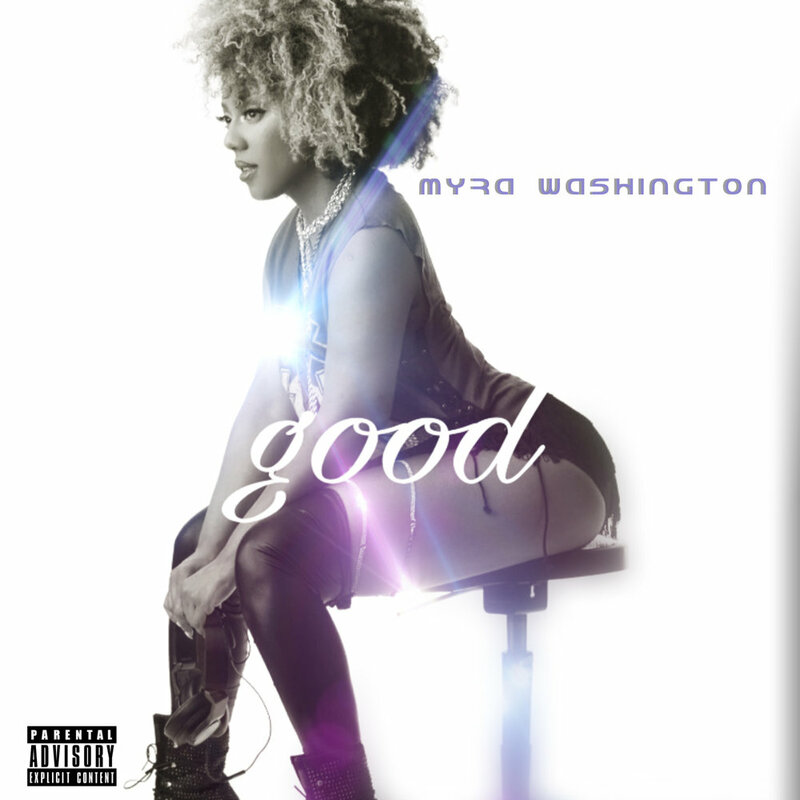 Currently performing a month residency at the world famous Gibo in Italy, Myra just release a single “Good” on all digital platforms . Soopasoul returns with a hot new track after a 7 year absence! Pushin' Weight sees the main man and his band return to form like they never went away. Complete with a full funk complement of conga, wah wah guitar, driving bass and jazzy horns - it's a groove that doesn't quit. Danny 'Soopasoul' Bennett made his name as a DMC DJ before establishing himself as a true behemoth of the instrumental funk scene with his debut album 'Twin Stix' and more chart topping DJ edits than you can shake a stick at. Pushin Weight / Brand Nu (7" edit) will be available 04.08.17 on Jalapeno Records. Pink Flamingo Rhythm Revue - "Something Special"
Noetic - or referred to as Poetic Noetic - blends the line of lyrical hip hop with danceable rhythms and sounds that make fans want to get up and move. Not many artists can blur the lines between poetry and fun, but that’s where Noetic shines. His debut project, Split Decision, is slated for release later this year. The next big thing in pop music- Welcome to the ZiG x NiC collab. Album out at end of the month! MelodySoul is extremely proud to present an exceptionally talented production duo based out of Kansas City, MO. They go by the name of "The Xtraordinair$" and are comprised of producers Leonard Dstroy & Dominique Sanders. The duo has a knack for combining various styles that combine like Voltron to form elegant, soulful rhythms and grooves with just the right amount of abstraction. The album is a proper fusion of Hip-Hop, R&B, Jazz, Neo-Soul, and Funk, combined with exceptional lyricism, high quality performances and artistic prowess from all contributors. X ESSENTIAL is the sophomore release from the production duo, and it is a true exercise in collaboration, which has always been at the heart of MelodySoul. Numerous local musicians (in Kansas City) were brought in to record segments to give it that live, jazzy feel. The track list is oozing with dynamic versatility. There is a little something for everyone. The album is an exceptional piece of art that we are very proud to present. We hope you enjoy it as much as we do!